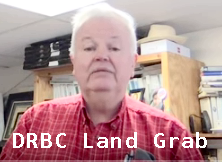 The DRBC Is Engaged in High Stakes, High-Tech Colonialism and wants to control your land! A majority of the DRBC Commissioners also serve as the majority of the SRBC Commissioners. Over 3,000 gas wells have been drilled and hydraulically fractured there . Summarizing their studies in September 2017, the SRBC concluded: "the Commission’s remote water quality monitoring network has not detected discernible impacts on the quality of the Basin’s water resources as a result of natural gas development".